Hi Doc — Hope you’re doing well! I just have a quick question about horses and oats. We grew some oats and combined them and I’d like to feed some to the horses. Hi Laura — Traditionally oats for horses are fed just as they come out the combine. 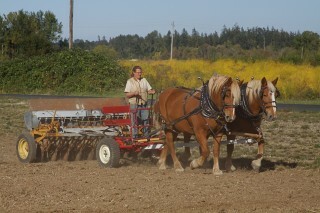 Breaking down the kernel by rolling, grinding, etc., only increases the digestibility of oats for horses by about 5% so is usually not worth the effort and or expense – whenever I’ve compared prices and practices, I could buy 105 pounds of whole oats cheaper than 100 pounds of processed oats and get the same nutrient value. 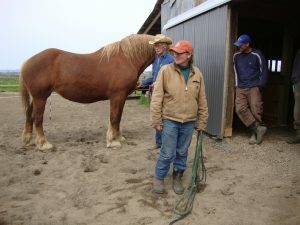 Remember when you begin a new feeding program with any concentrate or forage for horses start with small amounts of feed or short grazing times on the new feed and gradually work up to the desired amount over a period of a week or ten days – while monitoring for signs of adverse digestive or other effects.